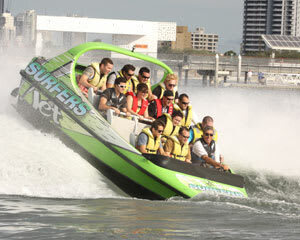 Jet Boat Rides + Water Sports Activities At Adrenaline! 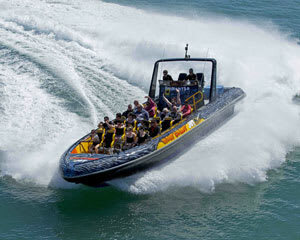 Feel the spray of sea air and wind in your hair with the ultimate exhilaration of a fast-paced jet boat experience. 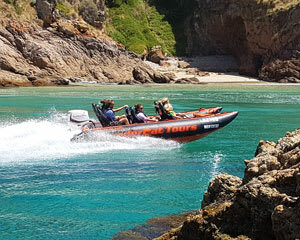 When the power of a dual V8 engine thrill ride and spirit of adventure team with spectacular harbour-side scenery, the outcome is all systems go at Adrenaline. There’s a sparkling range of jet boating experiences available online that take in the sights of Sydney’s Harbour’s landmark sites. 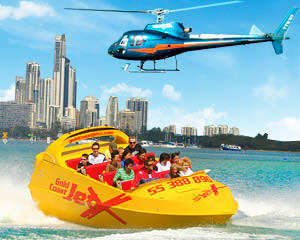 Cruise past the Sydney Opera House, dart underneath the Harbour Bridge and skirt past Taronga Zoo on board your full-throttle jet boat ride. 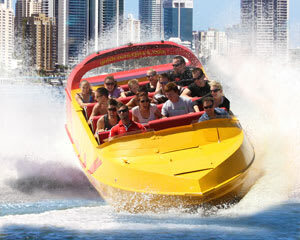 The Jet Boat Sydney – Speed Through Circular Quay With Adrenaline experience is a prime example that offers breathtaking thrills, exceptional value for money and conducted by a professional boating operator that accepts fewer passengers per ride than its competitors. Departing Circular Quay with more room to spread out and speed-defying, white-knuckle style means maximum excitement levels on board your 30-minute jet boat ride. The sights, splashes of brilliance and sound of on-board screams as you roar past the major landmarks, as well as Shark Island, Fort Dennison and Watsons Bay, is without doubt one of the best ways to soak up Sydney Harbour and take home lifelong memories. 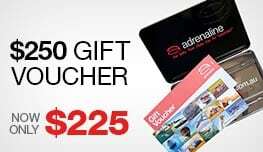 Adrenaline also offers jet boat experiences in Melbourne, the Gold Coast, Sunshine Coast, Cairns, Airlie Beach, South Australia’s Victor Harbor, the Darwin wetlands, and wherever spectacular waterways abound throughout Australia and New Zealand. 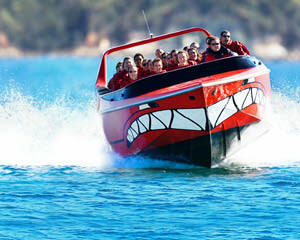 Where is the best destination to go jet boating? The largest and arguably most beautiful harbour in the world is best body of water on which to travel in jet boating packages that fulfil the need for speed and are also priced to please at Adrenaline. 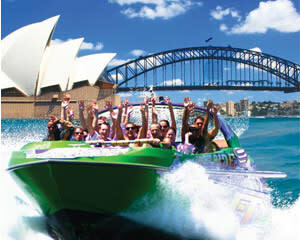 Sydney Harbour is undoubtedly the prime location for jet boating experiences, given its range of internationally renowned landmarks, majestic waterside setting and accessibility for many participants. What do you wear jet boating? You’ll want to feel safe, comfortable and, most importantly, remain dry while on board. Wearing loose, casual clothing, soft-soled and water resistant-footwear is recommended. A life jacket will be provided on your jet boating event, but you should wear sunglasses and a snug hat to avoid glare and sunburn. It’s also advisable to apply plenty of sunblock on your harbour-side adventure ride. How fast do jet boats go? The twin engines and twin turbo-charged jet boat rides featured in the range of experiences offered by Adrenaline are propelled by not one, but two, 880hp engines. 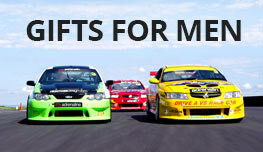 This equates to high-powered, fast-paced action, with top speeds of between 90km per hour and 100km per hour. 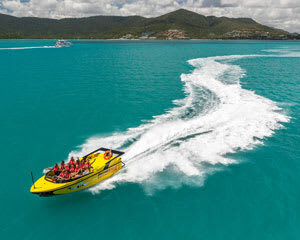 Not only renowned for their swell-cutting capabilities, these powerful, custom-engineered machines are also adept at performing the legendary 270-degree spins that are part and parcel of every jet boat experience offered at Adrenaline.